After 15 years of service as chairman of the Chess Committee, Dolf Vos has retired. Related to this Dolf has been awarded a Royal Decoration, through which the Tata Steel Chess Tournament has been honoured. 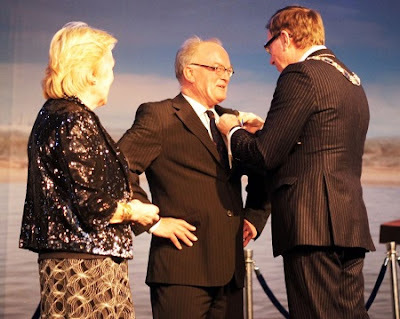 Tonight, the decoration was handed over by Han van Leeuwen, mayor of Beverwijk. 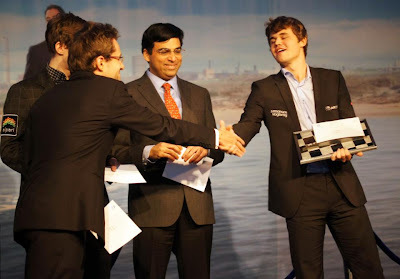 More photographs from the closing ceremony of the 75th Tata Steel Chess Tournament 2013 is available at the official website.